Find a Stilt Walker for hire near you in minutes! Option 1. Enter your event location below & contact a Stilt Walker directly! Option 2. Request multiple quotes from available Stilt Walkers Get Quotes! Option 3. 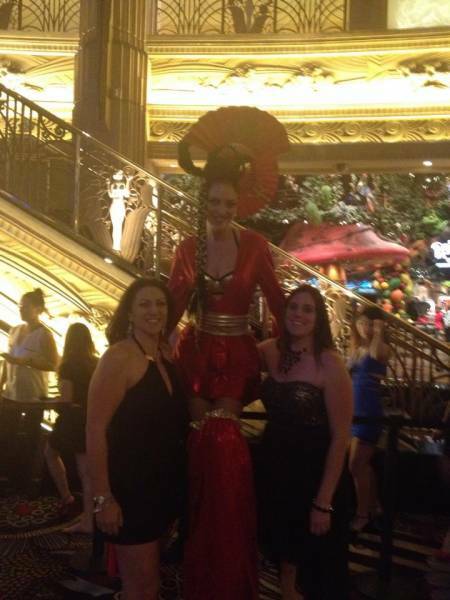 Read information & advice on hiring Stilt Walkers Read Advice! WANT TO KNOW MORE ABOUT STILT WALKER? Read on for the most comprehensive guide to booking a Stilt Walker, including how much a Stilt Walker costs, exactly what they will do at your event, plus tips, advice and information to help make your event one to remember! With a Stilt Walker you will get a professional circus themed act that will raise the standard of your event to dizzying heights! 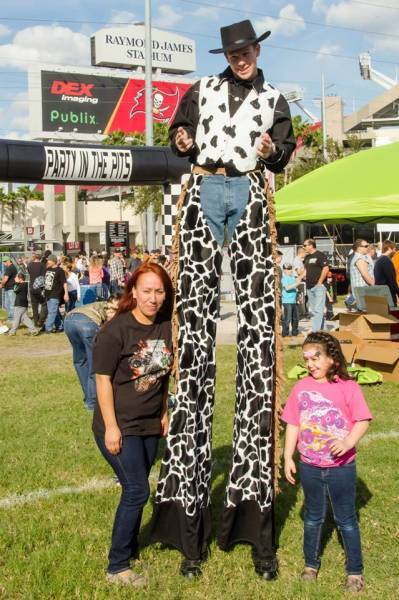 What exactly will a Stilt Walker do at your event? A contemporay Stilt Walker will thrill your guests by striding about confidently on two stilts that will send him or her up into the sky! Children in particular will find the hired Stilt Walker fascinating as they parade around like a giant whilst juggling, singing, or playing a musical instrument! A Stilt Walker can offer additional skills such as balloon modelling and riding a unicycle! This is entertaining enough without the added bonus of the circus entertainer being on a giant pair of stilts! A modern stilt walker can also dress up in a range of different styles to suit your event, but more about that later! Mainly, a Stilt Walker will entertain your audience with a fantastic live show that will put the wow factor into celebrations and impress your guests, whatever their entertainment tastes may be. What event types are Stilt Walkers hired for? A Stilt Walker will work their magic at your wedding drinks reception and will enthral the children no end! A professional Stilt Walker can work inside or outside, but we advise because of the height involved that outside may be more effective! (weather depending) Perfect if you want your wedding to be known for its eccentricity! A Stilt Walker will provide a thrilling difference at your corporate event and will undoubtedly put you head and shoulders above your counterparts! Hire a Stilt Walker for the promotion of your product! The professional Stilt Walkers will be well trained in mingling with members of the public and will offer humour, banter and great crowd interaction whilst giving out information about your company or product via leaflets or speaker-phone! Ideal for gaining attention! If you are the organiser of a street parade or a festival, then you may want to hire a Stilt Walker to entertain your visitors in between the acts! The Stilt Walker will be able to provide a theme whatever your event may be! Whether it's Victorian, Medieval or circus themed! We would advise to hire two Stilt Walkers or more due to the Stilt Walkers being able to work together to create a visual experience that is enthralling and will most definitely stop any potential customers in their tracks! With two Stilt Walkers, they may be able to juggle together and perform various circus based tricks that will have clients talking! Ideal for selling your product, or a perfect idea if you want the Stilt Walker to point customers in the direction of your stall! A Stilt Walker will be perfect for a birthday celebration! You could hire a Stilt Walker to ramp up the entertainment at a children’s birthday celebration, where they will be able to dress in hundreds of different themes including pirate themes, Disney themes, and historical themes! The Stilt Walker will have rehearsed party games and child friendly banter that they will also use, making sure that no child feels left out. Are you having a Halloween party or a circus themed party? Then you may want to hire a Stilt Walker to heighten the thrills at your event?! The Stilt Walker can be dressed to suit your party, make-up and all to really get people in the mood! How much do Stilt Walkers cost to hire? Our simple to use entertainment directory allows you to firstly search for the best Stilt Walkers who are local (or travel to your area) and then via the contact form you may message them directly to enquire for a no obligation quote to perform at your event. Some acts will also add a rough price guide to their profile for your convenience. What are the usual set formats and performance lengths for Stilt Walkers? A Stilt Walker can tailor their performance to times to suit you and your event, however, on average a professional Stilt Walker will perform for 60 minutes. 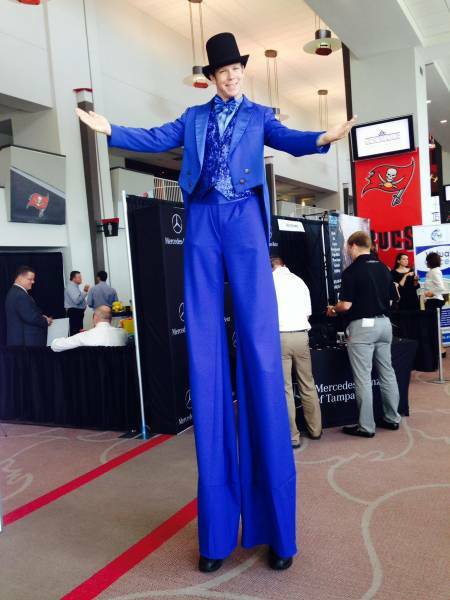 How much space will a Stilt Walker need at your event? Due to the Stilt Walkers extra height, they will need more space to walk around than maybe your average performer. As each Stilt Walkers heights may vary, we would advise to use our personal messaging service to enquire with the Stilt Walker themselves. What equipment and set up requirements do Stilt Walkers need? As with most artists who sign up to Entertainersworldwide.com, a Stilt Walker will provide all of their own equipment. You may want to enquire if an artist needs a PA to amplify their sound, in which case we would advise to use our easy to use messaging service to find out. We do ask that each performer gets a backstage area in which they can prepare for the performance ahead. If your venue does not have a backstage area, then we kindly ask that you enquire with the venue to seek an alternative space in which the performer can comfortably get ready to entertain. How can you find and book a Stilt Walker with Entertainersworldwide.com? WANT TO RECEIVE A RANGE OF QUOTES FROM Stilt Walkers?